You know what it's like to feel drained, out of steam, and out of options and ideas. God has given us what we need to fill up when we run low. It's the incredible gift of Himself. Even as you empty yourself, the Holy Spirit will fill you. And in giving yourself away, you will find life. 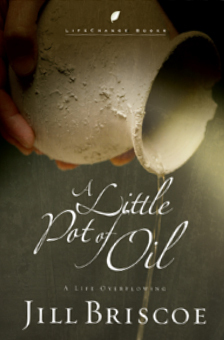 This teaching is also available in Jill's audio message A Little Pot of Oil. Successfully added A Little Pot of Oil to your cart.